My mom has always been a talented seamstress, making mommy-and-me dresses and Halloween costumes when I was growing up. Back then, I never would have dreamed that one day she would make my wedding dress. 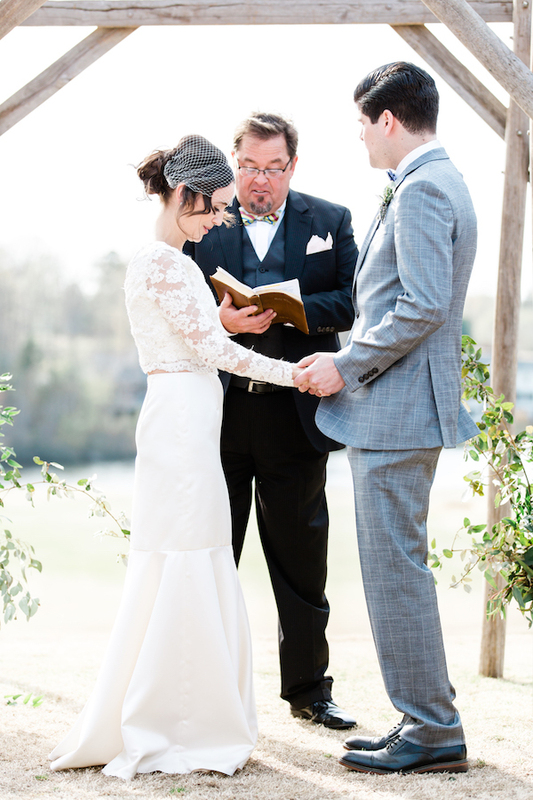 A few years back, she was on a big sewing kick (you've seen many of her designs on this blog), and I remarked that she should make my wedding dress one day. Little did I know that she began doubling down on her practice and tailoring thereafter. When Sean proposed, I made a proposal to my mom as well. Would she make my dress? Like me, she said yes. Since we're not designers, I searched and searched for a pattern. I knew I wanted something that was both fashionable and classic and loved the idea of a two-piece design. We came up with a combination of patterns: a top from Simplicity and a skirt from McCall's. Neither of these were wedding dress patterns (most of what I found in that category were much dressier than I wanted and frankly outdated), but I had a vision and could picture the finished result in my head. My mom trekked into the city and met me in the garment district, where we dug through aisles of fabric at New York Elegant Fabrics. We chose a delicate lace for the top and satin for the skirt. She made a test from cheap muslin and after a fitting, cut into the real stuff. 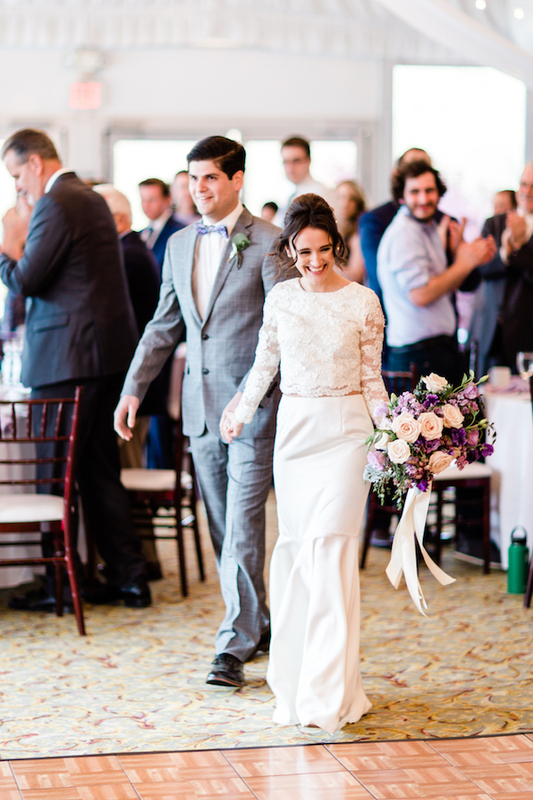 At the final fitting, we declared a perfect fit and my mom told me I couldn't gain or lose a pound...I did—thanks wedding stress—but at the final, final fitting, my slimmer figure seemed to complement the dress even better; the skirt just hung slightly lower on my waist. I couldn't have been happier with the final result. Truly bespoke, my dress was so absolutely me, and all the more special that my mom made it herself. 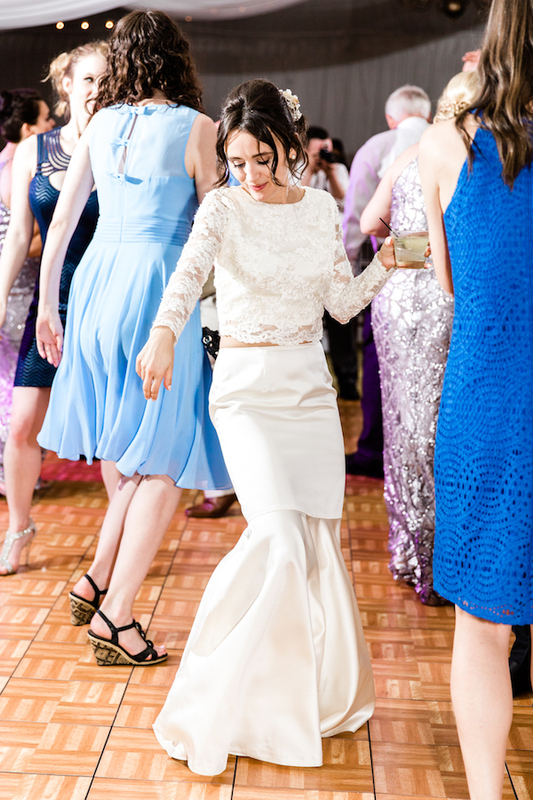 At our wedding, I was met with endless compliments on the dress and remarks from guests that they now understood where I got my fashion sensibility from. The biggest highlight came a few months later, when I interviewed Mark Ingram at his Upper East Side bridal atelier for Quest magazine. I told him my mom made my wedding dress and, before I left, showed him a picture. He was genuinely shocked and impressed, and he loved the dress. And of course, so do I, and it will remain one of my most prized possessions. Thank you, Mom. Read more about how she did it on her blog, here. That is truly special to have a dress handmade by your mom! Not many brides get to be so lucky! Now, did she pass any of her sewing skills on to you? Wow, really?? That is incredible! Your mom is truly amazing. You are so lucky! 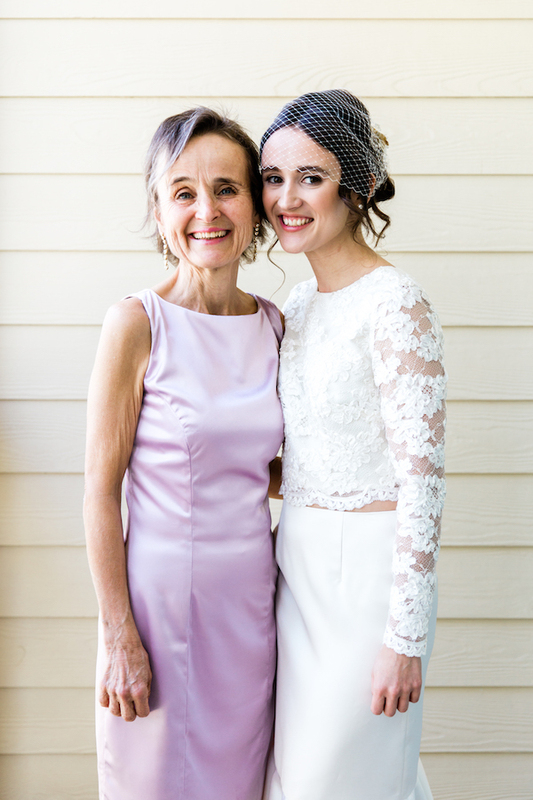 Your dress is truly wonderful and even more special since your mother made it! YOu looked really spectacular and the dress is very *you*! wow that is truly special! your dress is gorgeous! Pues es increíble el vestido reina, puedes estar orgullosa.Un beso.